Road Open Wheel INDYCAR IndyCar Series How much did the 2016 Indycar Champion Earn? How much did the 2016 Indycar Champion Earn? How much did the 2016 Indycar Champion Earn? 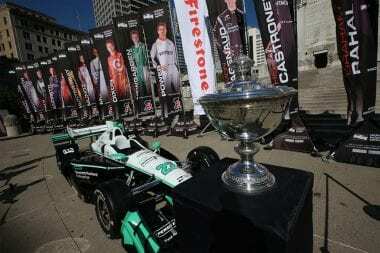 A cool $1 Million was presented to Simon Pagenaud along with his Astor Cup trophy. An epic season deserves an equally impressive champion. That’s what INDYCAR has in Simon Pagenaud, who was honored this evening at the 2016 Verizon IndyCar Series Championship Celebration. Pagenaud, 32, was saluted at Hilbert Circle Theatre on Indianapolis’ Monument Circle for capturing the season championship on the strength of a series-best five race wins and seven Verizon P1 Award pole positions over the course of the 16-race campaign. The driver of the No. 22 Team Penske Chevrolet was awarded the $1 million champion’s prize and the Astor Challenge Cup, the trophy presented annually to the series champion since 2011, by Mark Miles, CEO of Hulman & Co., the parent of INDYCAR and Indianapolis Motor Speedway, before a capacity crowd. 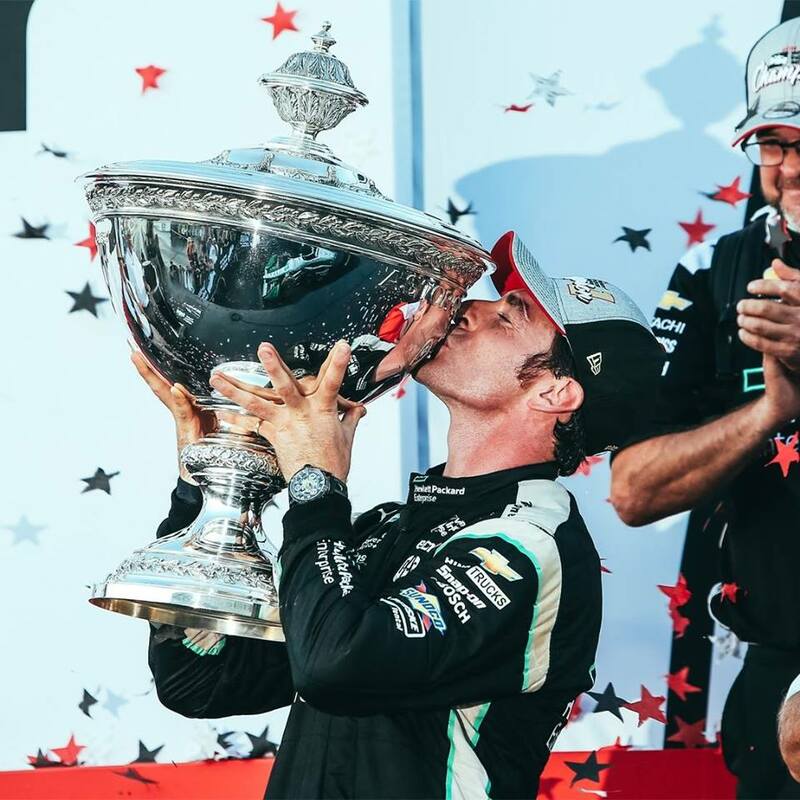 Pagenaud clinched his first career title with a dominant win in the Sept. 18 season finale, the GoPro Grand Prix of Sonoma. With two weeks to take in the significance of his accomplishment, the Frenchman is savoring the moment. The celebration of Pagenaud as the champion climaxed an evening of recognizing superlative performances throughout the historic 2016 Verizon IndyCar Series season that included the blockbuster 100th Running of the Indianapolis 500 Mile Race presented by PennGrade Motor Oil – won in most memorable fashion by rookie Alexander Rossi, who coasted across the finish line after his Andretti Herta Autosport with Curb-Agajanian Honda ran out of fuel on the final lap. 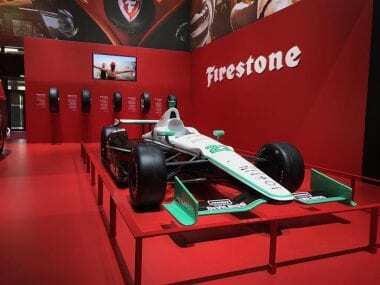 The epic season also contained returns to Indy car racing’s roots at iconic racetracks Phoenix International Raceway, Road America and Watkins Glen International. Coupled with continued successful events at INDYCAR staple venues on temporary street circuits (St. Petersburg, Long Beach, Belle Isle and Toronto), permanent road courses (Barber Motorsports Park, Indianapolis Motor Speedway, Mid-Ohio Sports Car Course and Sonoma Raceway) and ovals (Texas Motor Speedway, Iowa Speedway and Pocono Raceway), it made for another year of solid, measurable growth for INDYCAR. “This has been a phenomenal season,” said Miles. “Historic in a very real sense with the epic 100th Running of the Indy 500 – which I think exceeded everybody’s expectations as a monumental event. But then the whole year was great. I think back to all the races, every one of them was a dynamite event – great racing, great crowds. In addition to the championship bonus, Pagenaud was awarded the Jostens Champions Award, a ring to commemorate his championship. He also won the Sunoco Diamond Performance Award for winning the most races this season and the Verizon P1 Award for scoring the most points among pole winners. Billy Vincent, chief mechanic for Pagenaud’s No. 22 Team Penske Chevrolet, accepted the Verizon IndyCar Series Chief Mechanic of the Year Award. Jon Bouslog was honored as the Team Manager of the Year as Team Penske collected its record 14th Indy car championship in the same year that owner Roger Penske’s organization is celebrating 50 years in racing. Rossi earned the Verizon IndyCar Series Sunoco Rookie of the Year Award after also being named in May as the Sunoco Rookie of the Year for the Indianapolis 500. Another Verizon IndyCar Series rookie, Conor Daly, claimed the TAG Heuer “Don’t Crack Under Pressure” Award for advancing the most cumulative places from the start of races to their finish during the season. Mike Hull, managing director of Chip Ganassi Racing accepted the Firestone “Drive to the Finish” Award on behalf of Charlie Kimball, who completed the most laps of any driver this season (2,066 of a possible 2,070, 99.8 percent). The family of Bryan Clauson, who was voted INDYCAR Nation Fan Favorite Driver, accepted the award for the three-time Indianapolis 500 starter fatally injured in a midget racing accident in August. Jim Campbell, Chevrolet’s vice president of performance vehicles and motorsports, accepted the manufacturers award on behalf of Chevrolet, which won 14 of the 16 races, 13 pole positions and led 71 percent of the race laps (1,467 of 2,070). Chevrolet has won the manufacturers award every year since Verizon IndyCar Series engine competition resumed in 2012. Will Power of Team Penske was honored as the second-place finisher in the championship while teammate Helio Castroneves was recognized for finishing third. It gave Team Penske a sweep of the top three positions in the point standings.